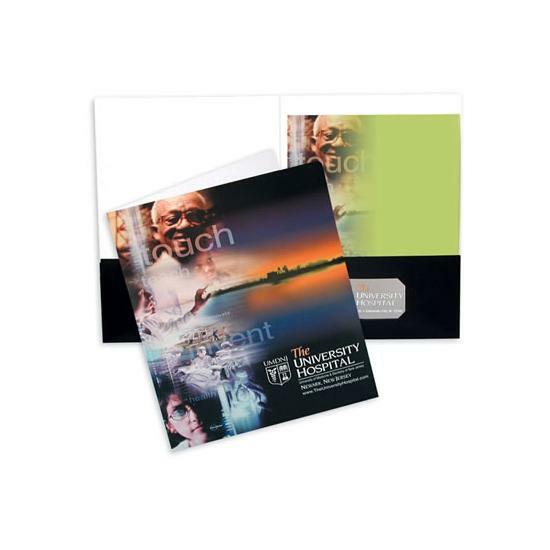 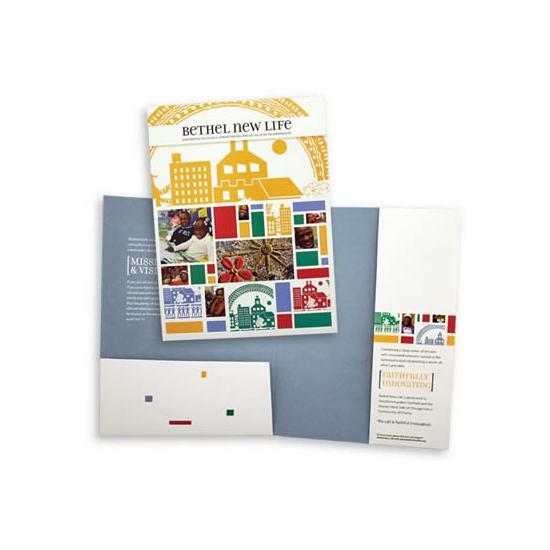 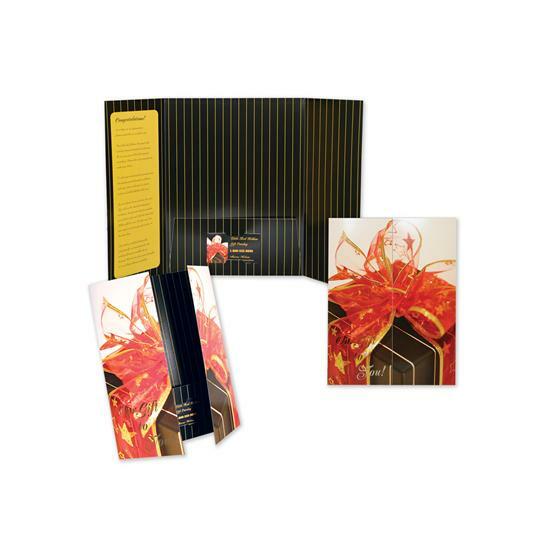 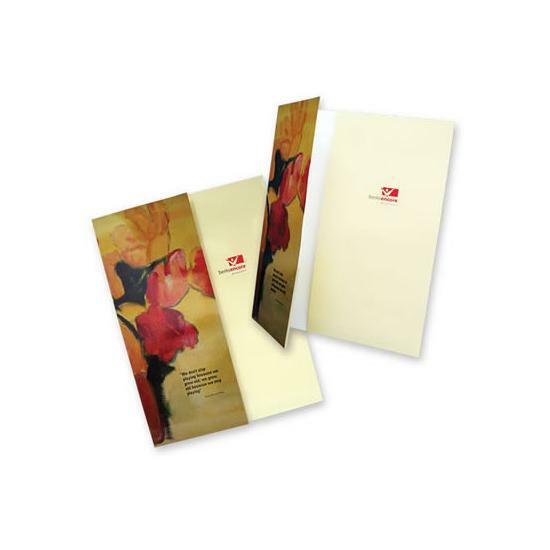 Standard large pocket folders are used by professionals and businesses in all industries. 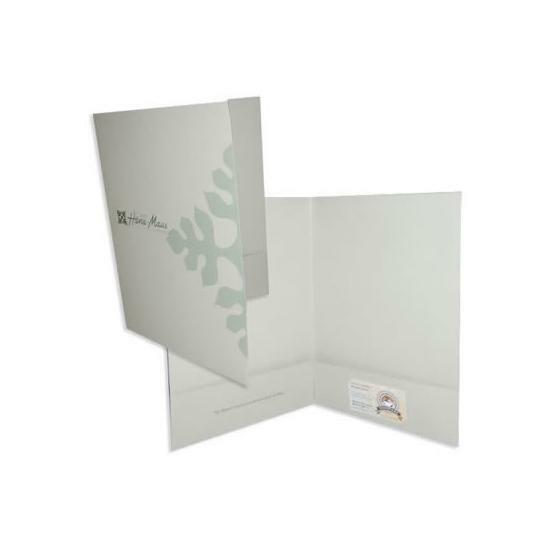 What better way to give a stunning impression and build your brand identity. 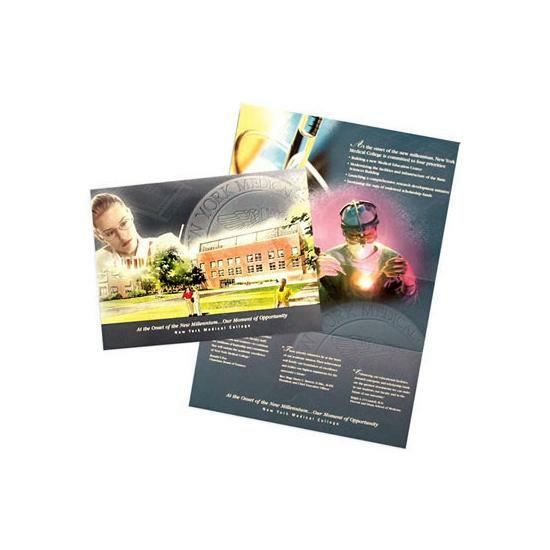 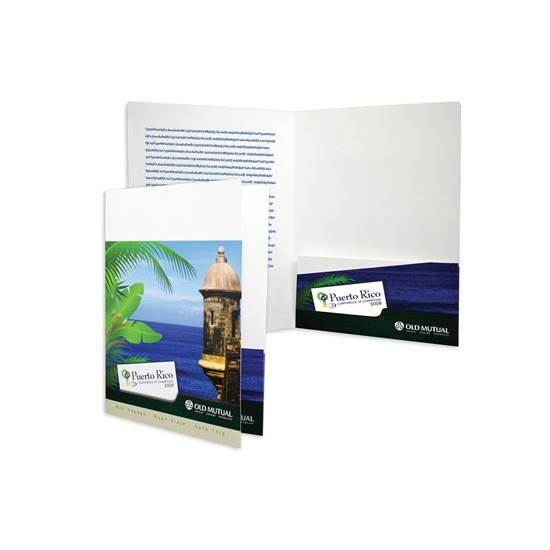 They are printed in full-color process, PMS color ink, foil stamped or embossed. 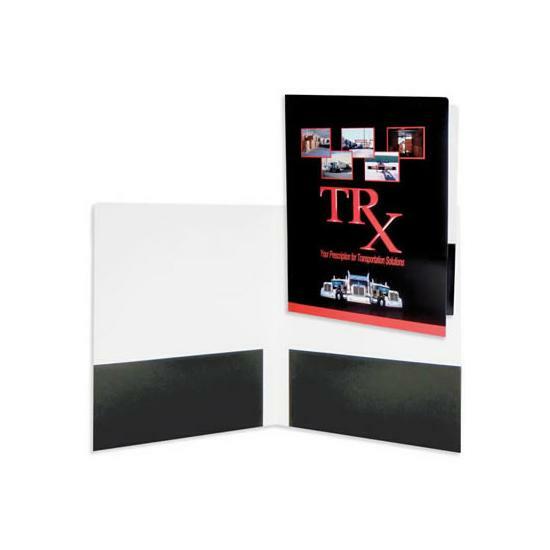 The standard base stocks are Semi-Gloss 12 PT C1S, Smooth White 80 lb, Marble Crush White 10 PT C1S, Gloss Text 80 lb C2S, & Matte Text 80 lb. 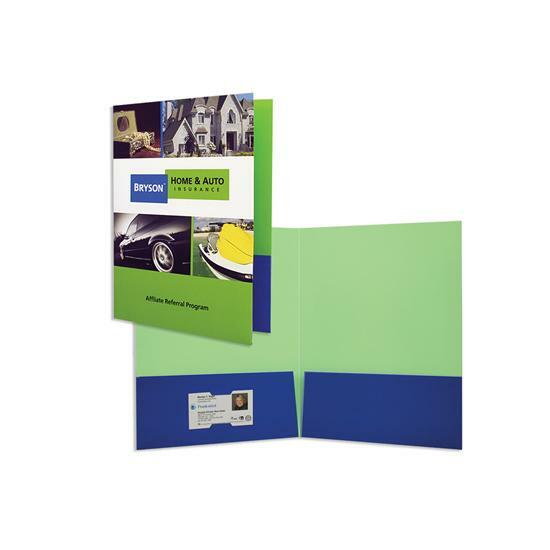 There are many other paper stocks to choose from like semi- Gloss, 80 lb fiber, 100 lb linen, Eco kraft, 80 lb eggshell, and many more! 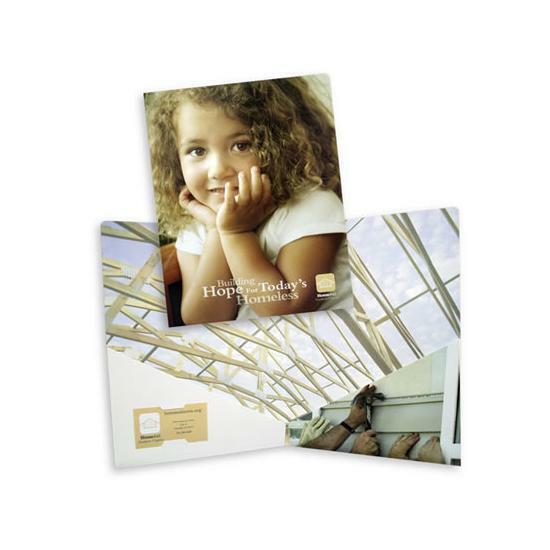 FREE overall gloss, Satin or Matte aqueous options on printed orders. 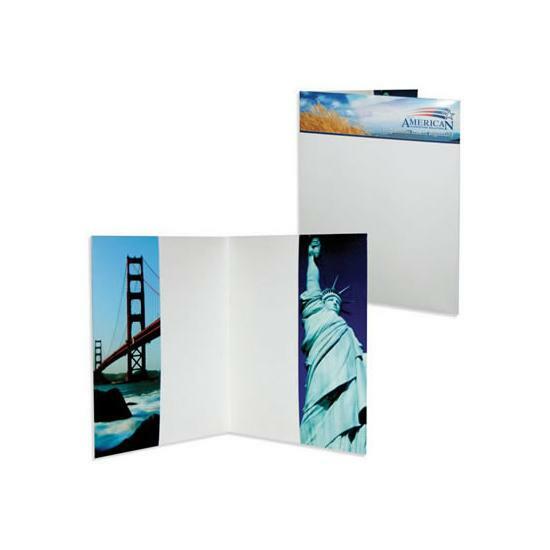 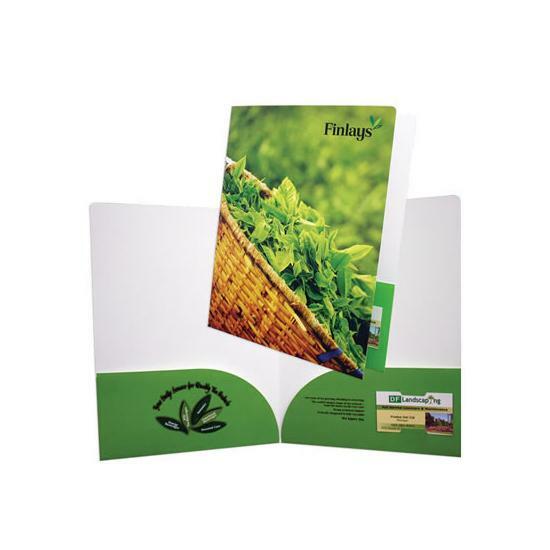 A variety of business card slots, brochure slits & other pockets options are available. 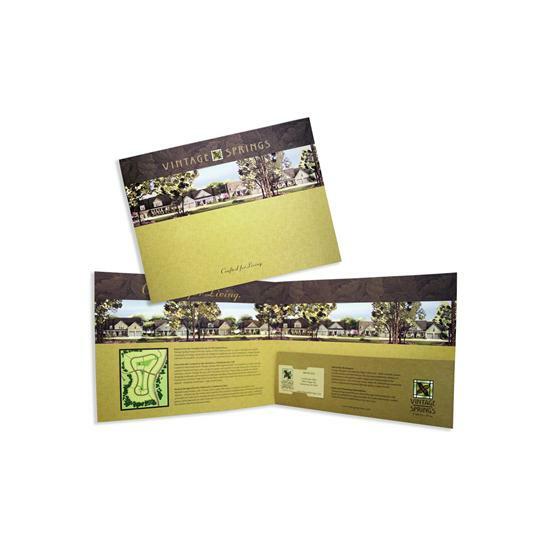 Production Schedule: 7 to 10 business days. 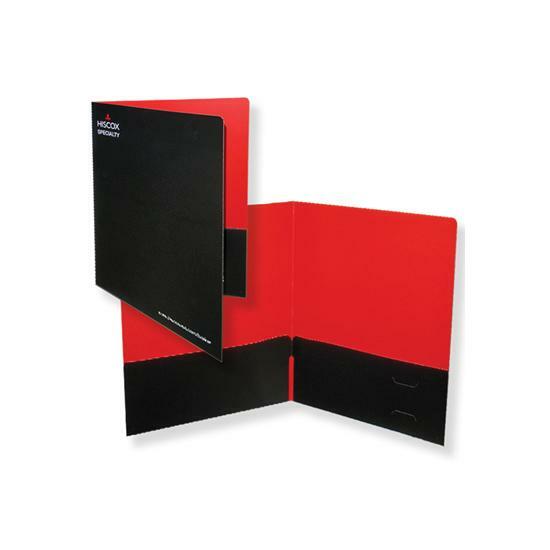 For Spine attachments add 3 - 5 production days. 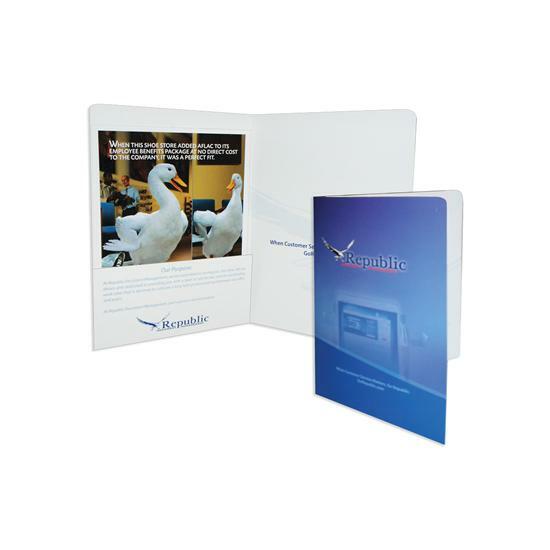 Personalized, custom printed presentation folders.